IMCDb.org: 1955 Austin LD Ambulance Appleyard in "Gideon's Way, 1965-1967"
I would be interested to know what ambulance this is. The most obvious choice would be Austin/Morris LD chassis but I don't recognise the bodywork. The cab appears to be set low compared to the body which makes me think it could also possibly be a Bedford CA van chassis. The style of hub-caps are not clearly seen, they could be a clue to the maker. Looking at it again, I'm 75% sure its an Austin (or Morris) LD 1955-1968, although the body is unusual. 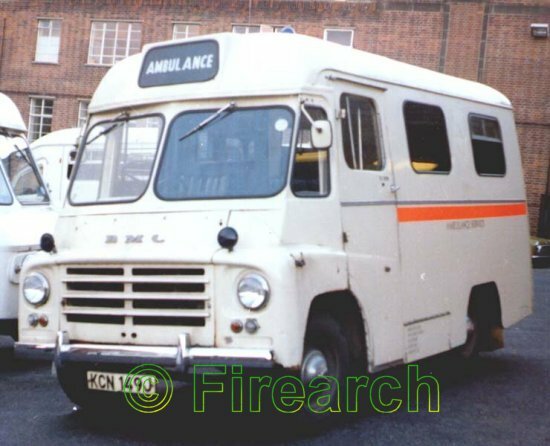 edit: The Ambulance is almost certainly earlier as shown in the following link for the Austin/Morris LD 1952-1954. Although the body is not identical it shows the side windows set higher and has the chromed plate under the front quarter-lite (missing in the later LD) as in the TV series. 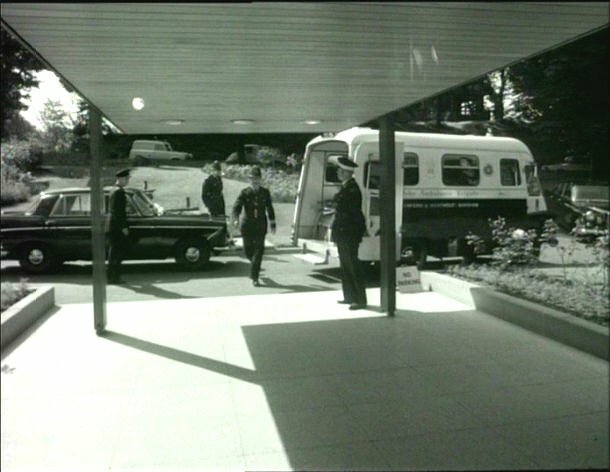 From the livery, ambulance looks like it's operated by the the St. John Ambulance Brigade, the volunteer organisation. So it was possibly operated previously by a local authority and donated to the brigade later. The cab door window and side windows are higher than the windscreen window. Strongly suspect Appleyard of Leeds bodywork. Ambfan wrote Strongly suspect Appleyard of Leeds bodywork. You are the expert. I hardly know of Appleyard bodies. Appleyard looks exactly right from this picture of a 1970 BMC badged version. What I thought was the chromed ventilator is probably a turn-signal, so LD 1955-1968 and not the earlier version.